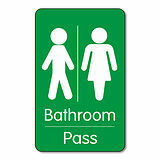 Our great range of class passes can help you to keep track of your pupils as they move around the school. You can either add the pass to the pupil's pocket in your cardholder or, give the card directly to the pupil as a permission slip whilst they are out of the classroom. 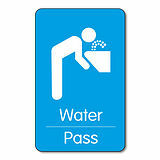 This 'Water Pass' card is perfect for keeping track of pupils who are currently out of the classroom to get a drink of water. 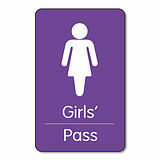 Part of the Class Pass range which can be found here.